The game development company Yggdrasil, a Cherry AB (publ) – STO: CHER-B.ST – subsidiary, agrees casino slots content deal with some of the largest betting and gaming brands in the United Kingdom. Yggdrasil has finalised a deal with, GVC Holdings, the owner of the Ladbrokes, Coral and Gala brands, to provide the brands with its market leading casino slots gaming content. 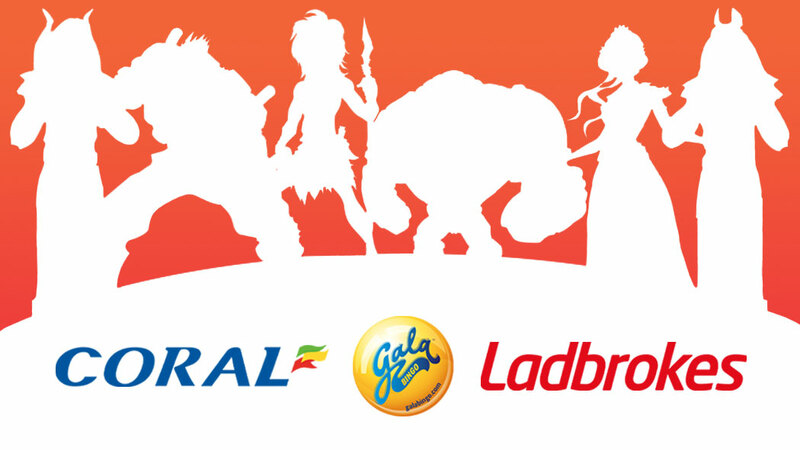 With their online presence and network of betting shops, Ladbrokes and Coral are two of the UK’s leading betting and gaming brands, while Gala is a leader on the UK bingo market. Together they make GVC the UK’s largest high street bookmaker, as well as being one of the world’s largest online-led listed companies, licensed in more than 20 regulated markets. Customers of all three brands will have access to the full portfolio of Yggdrasil’s high performing and compelling casino slots including the latest releases Trolls Bridge, Baron Samedi and Hanzo’s Dojo and classic Yggdrasil titles such as the game-changing Vikings trilogy. The brands will also be able to deploy BOOST®, Yggdrasil’s proprietary range of in-game promotional tools allowing them to instantly run promotions from within the game client. This information was submitted for publication on 23 January 2019, at 10:00 a.m. CET. GVC Holdings PLC (LSE:GVC) is one of the world’s largest sports betting and gaming groups, operating both online and in the retail sector. The Group owns a comprehensive portfolio of established brands; Sports Brands include bwin, Coral, Crystalbet, Eurobet, Ladbrokes and Sportingbet; Gaming Brands include CasinoClub, Foxy Bingo, Gala, Gioco Digitale, partypoker and PartyCasino. The Group owns proprietary technology across all of its core product verticals and in addition to its B2C operations provides services to a number of third-party customers on a B2B basis. GVC acquired Ladbrokes Coral Group plc on 28 March 2018 and is now the UK’s largest high street bookmaker, with over 3,500 betting shops. The Group, incorporated in the Isle of Man, is a constituent of the FTSE 100 index and has licences in more than 20 countries, across five continents. GVC was a founding member of the Senet Group and is committed to leading the industry in Responsible Gambling standards.